Relax and enjoy the peace and quiet from our cabin in the woods retreat. 'Camp 51' is a newly remodeled cabin in the center of snowmobile, ATV, hunting, fishing and sightseeing country. Fully furnished cabin with three bedrooms. Sleeps 9 comfortably. Gas fireplace, satellite TV, phone, undercover sled/boat parking. 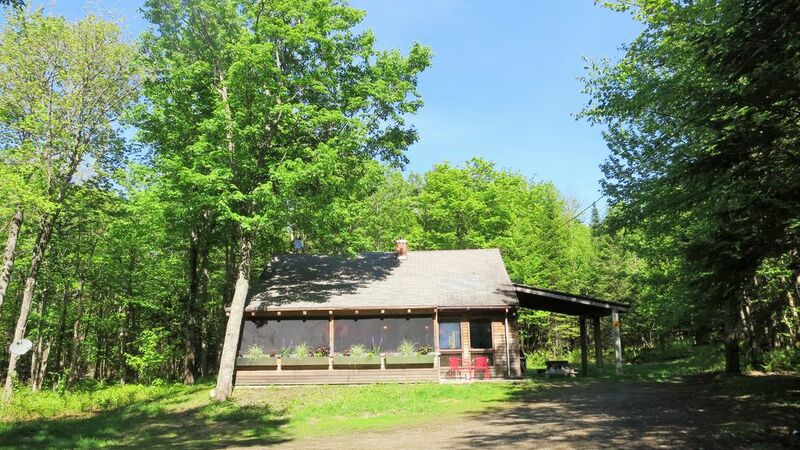 Direct trail access for both ATV's and snowmobiles, private boat launch on Back lake. Very private location! Very nice place to stay. The cottage is very confortable and are just enought for everybody needs. Very nice clean and well kept cabin!!! The cabin was just what we were looking for! Off the beaten path, yet close to many activities. Very nice, secluded camp but still close enough to restaurants and stores if you forgot anything or looking for a place to go out to eat! Made for a nice quite and peaceful vacation of four wheeling! Thank you Hillary and Rich for sharing your camp with others! We loved your camp. We could not get the gas heater running. Tried 4 to 5 times. Looking forward to renting again soon. Located at the headwaters of the Connecticut river, Pittsburg is the outdoor enthusiast dream! Hundreds of lakes, rivers and streams make Pittsburg a fisherman's paradise. Huge timber company land tracts make hunting big and small game easily accessible. Miles of snowmobile trails to Maine and Canada make Pittsburgh the snowmobile capitol of the east.